Sony has been quietly building a new development studio in San Diego, California. The studio recently hired James Martinchek, formerly of Rockstar Games and Sony’s Naughty Dog. The new Sony studio is working on an unannounced game in collaboration with another team in the first-party stable. Quentin Cobb, a senior game designer at the new Sony studio, announced Martinchek’s hiring last week. 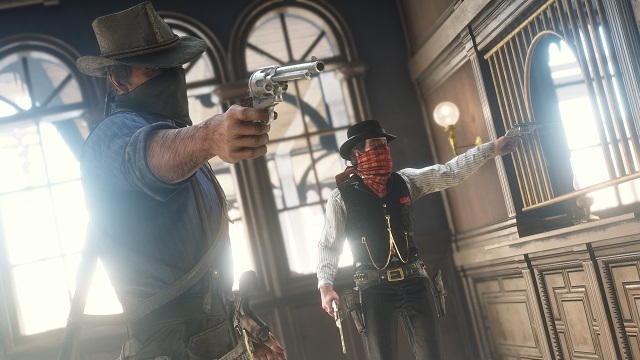 Prior to joining the secretive new studio, Martinchek was a senior animator at Rockstar Games working on Red Dead Redemption 2. Before joining Rockstar in late 2015, Martinchek was employed at Naughty Dog for four years where he worked on The Last of Us and Uncharted 4. He spent four years at inXile Entertainment before joining Naughty Dog. Martinchek’s Linkedin says he is a lead gameplay animator at the new Sony studio. He is joining Cobb, also formerly of Naughty Dog, and several other talented individuals at the studio. Other employees at the new studio include David Hall and John Bautista. Hall is credited as a game director at Sony’s new studio and was previously at Amazon and Double Helix Games where he worked as a designer. Hall worked on Breakaway for Amazon until the game’s cancellation in March 2018. Bautista had also worked at Double Helix Games on Killer Instinct, Splatterhouse,and other titles. The new studio is also working closely with Sony’s Visual Arts Service Group (VASG). VASG is an on-site animation, motion capture, cinematics, and art team that works on Sony-owned properties including Uncharted and God of War. Rumors online have suggested that the new studio is working with Naughty Dog on an Uncharted game. There’s also the possibility of the new game being a fighting game, as Hall and Bautista come from Killer Instinct developer Double Helix Games. Cobb and the rest of the team at the new studio have been tight-lipped about the new project.